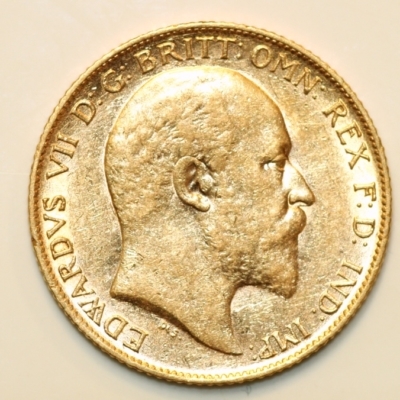 The Half Sovereign is a British coin produced since 1817, with Edward VII coins produced between 1902 and 1910. The equivalent decimal currency value of the Half Sovereign would be 50 pence. The coin is made of 22 carat gold, 19.3mm in diameter and weighs 3.99 grams. 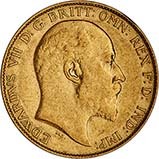 A 22 carat gold value of £28.19 per gram would mean this coin would have a scrap metal value of about £112.48.